I am often curious about language learning and the impact it has on how students learn. As an educator based in India, I find that language development comes naturally to a country of over 1.3 billion people. It is a melting pot of at least 23 different languages and the harmony of people living here is incomparable. Language is embedded in our humanity. According to a study by Michael Halliday (1975), language is used in multiple ways and is at the core of how we make sense of the world around us. Our language ability is aligned with how we understand the world. It is tied with our notion of intelligence and our ability to acquire and construct meaning. I have been constantly in awe with how language in my own classroom plays a central role in how my students interact with me, with themselves and with the materials around us. I find that a rich language classroom allows my students to think more, ask more and know more. I find that through explicit language developmental learning routines, my students learn concepts quicker. When students are exposed to a variety of text types, their language ability is enriched. 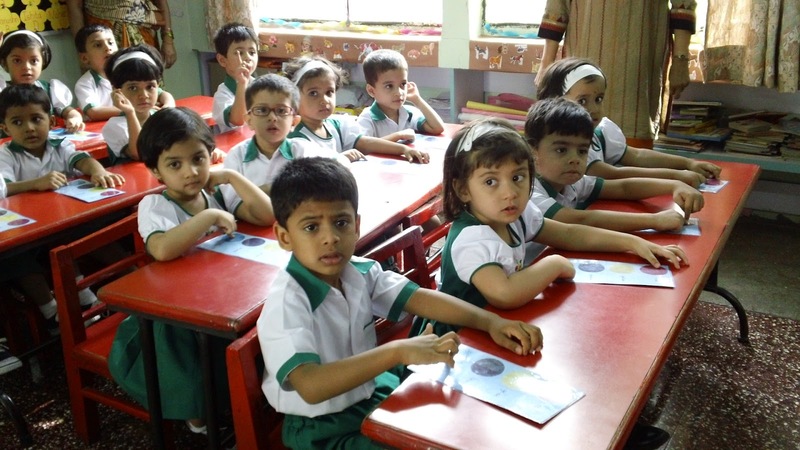 They are able to grasp more difficult concepts and engage in higher-order thinking routines better. They also communicate their thinking better. When students express what they know and use language forms for different purposes such as publishing their own text; exploring and comparing genres of literature; and experiencing real-life scenarios; the classroom learning is more engaging and relevant to my learners. I often challenge my students to create their own pieces of writing, explore author purposes and go beyond what is written in the texts. They spend countless hours inquiring into the different elements of language through exciting and student-friendly inquiries. Language learning needs to be holistic and not isolated from other subject areas. I do not believe that learning language only happens in a language class. Children in my classroom learn language in the cafeteria, in the playground and even in the arts and PE classes. I realize that this is similar in the adult environment; we know that it is not difficult to acquire another language anymore. The stimuli available to people today, technological advancements and the rapidly changing mobile communities can easily allow for language learning developing faster than ever before. Knowing and language goes hand-in-hand. Our learners have a higher chance of succeeding in a rapidly changing world if we equip them with the right tools to make sense of their world on their own. I believe that language lessons should focus on allowing the students to make sense of the world around them rather than covering chapters in a textbook. It should provoke thinking and lead to further inquiries. It should be applied in real-life scenarios and it should have explicit connections to what students already know and can do. It should be rich with up-to-date materials easily available to the students. Isolated topics in language learning are a waste of student’s valuable time. Language classrooms should evolve as our environment evolves.